CorkSport: New Shirts and More for You! I know many of you have been anticipating the arrival of a new CorkSport t-shirt to add to your collection. Well wait no longer! CorkSport is happy to introduce our newest CS shirt, the CorkSport “Established in 1998” shirt! Designed by our customer Ethan (thank you Ethan! 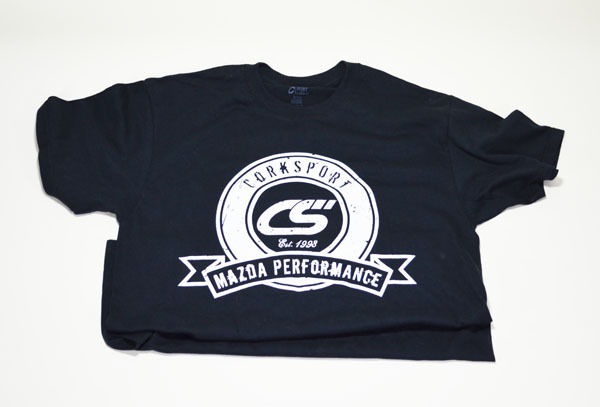 ), the shirt features a CS founders logo on the front and CorkSport across the back. Of course this isn’t the only CorkSport brand item we carry in our merchandise catalog. As many of you know, we have a couple other limited run shirts and our popular CS hats that we released at the request of our customers several months ago. 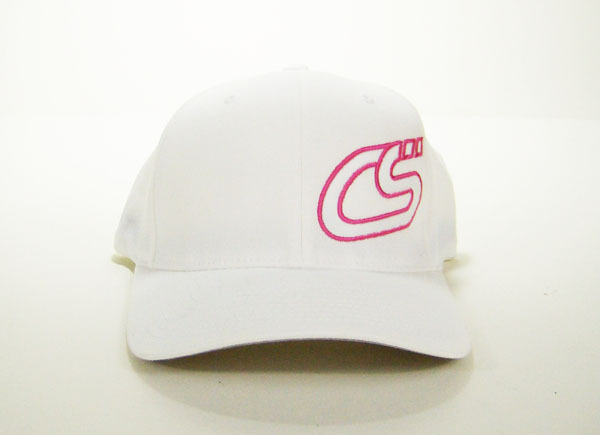 Today, we have added a limited edition white and pink hat for the Mazda enthusiast ladies out there that want to show their CS spirit! Of course, no judgement here, this hat is available to anyone who likes white and pink and ladies, we have many other color hats that may interest you as well! 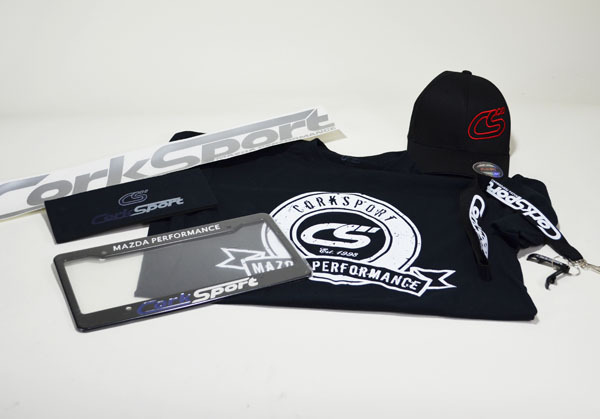 These are just a few of the CorkSport brand items that we currently have available in our catalog and from time-to-time we do limited runs of other highly requested items. Requests come in by email, are posted on Facebook or Twitter, or mentioned to me at an event for hoodies, lanyards, garage banners and more. Have an idea of what you want to see added to the mix? Let us know by commenting on this post! What is that thing above the license plate? & i want a lanyard!!!!!! would go perfect with my new mud flap key chain, which i must say is awesome. Next PostNext Project Mazdaspeed 3 Update!